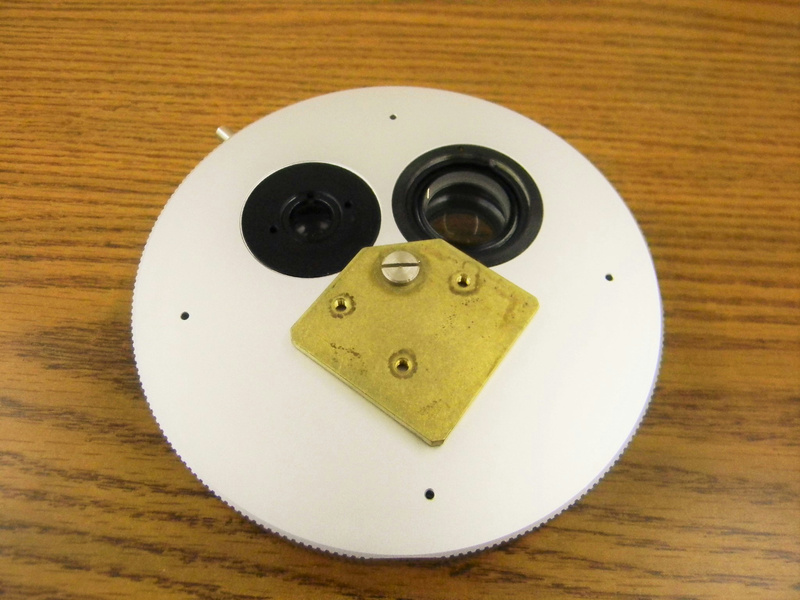 Dual Magnification Wheel from a Leica/Leitz DMRB Fluorescence Trino Microscope . New Life Scientific, Inc. These were removed from a Leica Leitz DMRB Fluorescence Trino microscope 301-371.010. The parts are used but in great condition. Quick magnification slide on side of wheel.